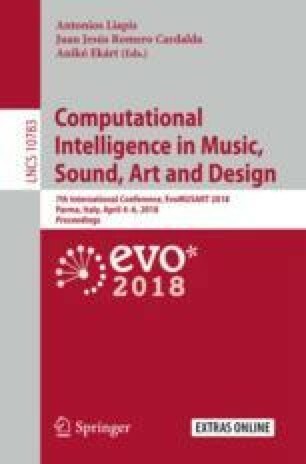 The article describes the process of constructing a repertoire of analog form-finding techniques, which can be used in evolutionary computation to (i) compare the techniques among them and select the most suitable for a project, (ii) to explore forms or shapes in an analog and/or manual way, (iii) as a basis for the development of algorithms in specialized software, (iv) or to understand the physical processes and mathematical procedures of the techniques. To our knowledge no one has built a repertoire of this nature, since all the techniques are in sources of diverse disciplines. Methodologically, the construction process was based on a systematic review of the literature, allowing us to identify 33 techniques where the principles of bio-inspiration and self-organization are evident, characteristics both of form-finding strategies. As a result, we present the repertoire structure, composed of five groups of techniques sharing similar physical processes: inflate, group, de-construct, stress, solidify and fold. Subsequently, the repertoire’s conceptual, mathematical, and graphical analysis categories are presented. Finally, conclusions of potential applications and research trends of the subject are presented.